First Peter is a timeless and powerful letter that gives hope to Christians who are suffering persecution for their faith. This important letter can be clearly divided into three thematic sections. In section one, Peter calls all Christians to personal holiness (1:13‑3:12), in section two he teaches that holiness and righteous living sometimes bring persecution and suffering (3:13-3:22), and in section three (4:1-5:14) he concludes by instructing Christians how to behave in the face persecution. This series focuses on section two, which reminds us of the hope we have in Christ Jesus to endure persecution and suffering. In this passage, following on the heels of a lengthy discourse on personal holiness, Peter calls the Christians in Asia Minor to be different from the world around them, to be holy (1:15). So, it’s not difficult to imagine their response in reading this challenge. Such a life-style is almost certain to bring persecution from their pagan neighbors. Peter, understanding their obvious concerns, addresses in advance their fears and their doubts regarding this issue. 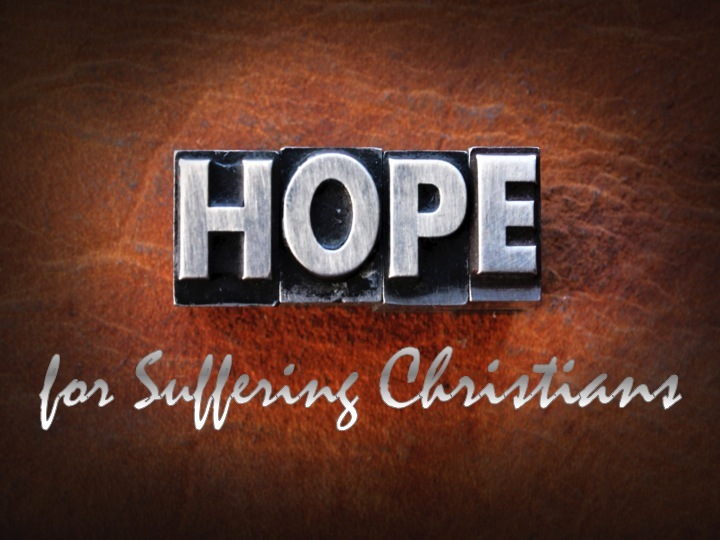 His overriding theme is “Hope for suffering Christians,” a topic as relevant today as ever.